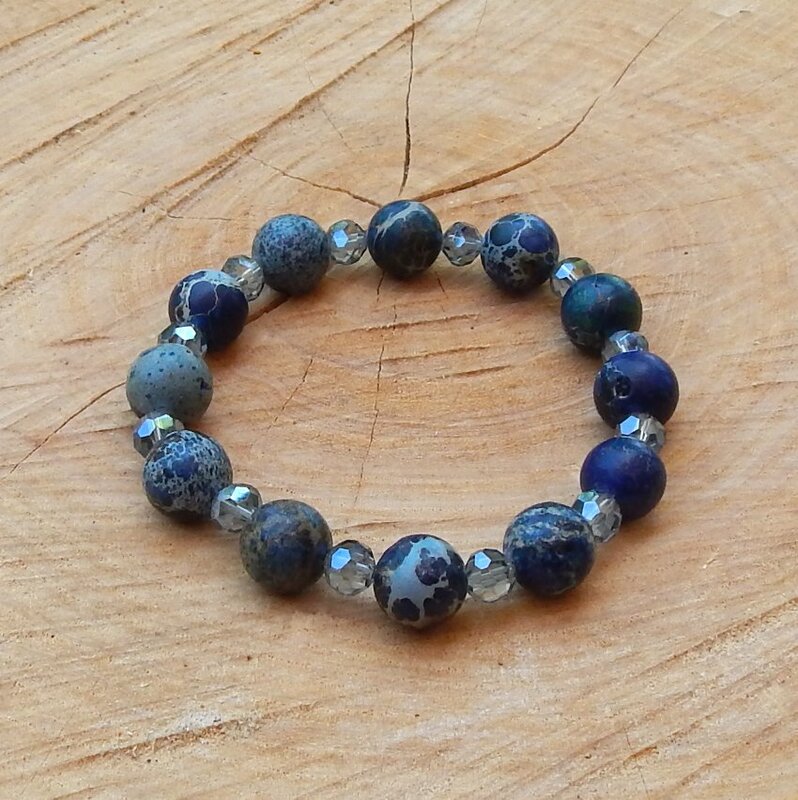 This sparkly bracelet features beautiful natural sea sediment jasper beads, that are strung along with complimenting sparkling blue Glass Crystals on a durable invisible elastic cord. No Clasps, easy on and off. Fits most medium wrists. This one is ready to go. One of a kind.